Changes to the magazine in 2016. 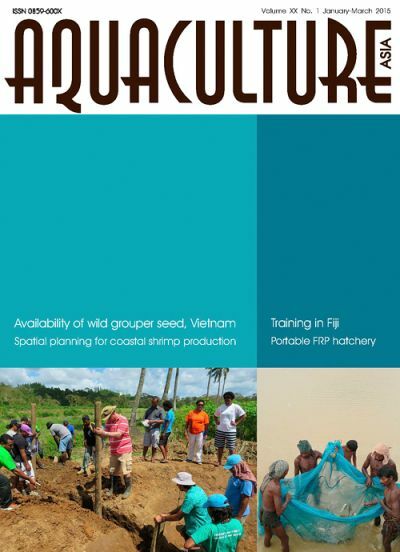 Peter Edwards writes on rural aquaculture: Further training provided to aquaculturists in Fiji. Spatial planning for sustainable coastal shrimp production. Availability of grouper (Serranidae) fingerlings and seed in the coral reef of Son Tra Peninsula, central Viet Nam. 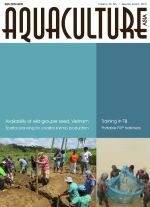 Small-scale carp seed production through portable FRP hatchery at Khanguri, Odisha: A case of technology transfer in remote and inaccessible village. Regional consultation on culture-based fisheries developments in Asia. NACA participation in the 5th Global Symposium on Gender in Aquaculture and Fisheries, Lucknow, India. Broodstock management in aquaculture: Long term effort required for regional capacity building. Urgent appeal to control spread of the shrimp microsporidian parasite Enterocytozoon hepatopenaei (EHP).